The Clear View Retractable Screen can be applied to French doors, Single doors, Dutch doors, Sliders and Windows. 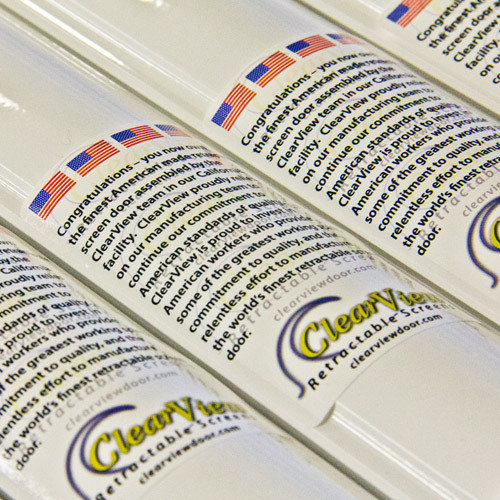 The Clear View Screen is the highest quality screen you will find in the market today. 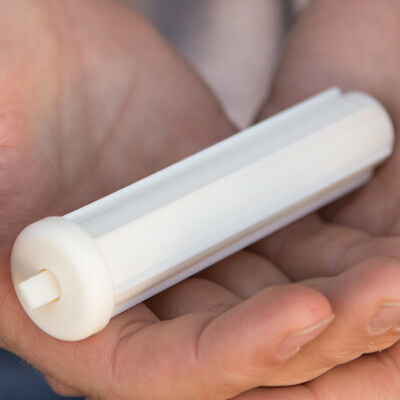 It’s the only retractable screen made in the U.S.A, the only retractable screen with the Patented “Safe-Close” speed reducer mechanism (U.S. Patent No. 6,591,890) that allows a safe, slow and gentle retraction of the screen back into the housing unit. This protects the screen from dust and other unwanted weather effects. The “Safe-Close” mechanism also eliminates the loud slamming noise other retractable screens typically make. Whether you are looking to install screens for your single doorway, double door sets, or sliding patio doors, we offer a variety of screen alternatives and several frame color options to choose from, all backed by a limited lifetime warranty. 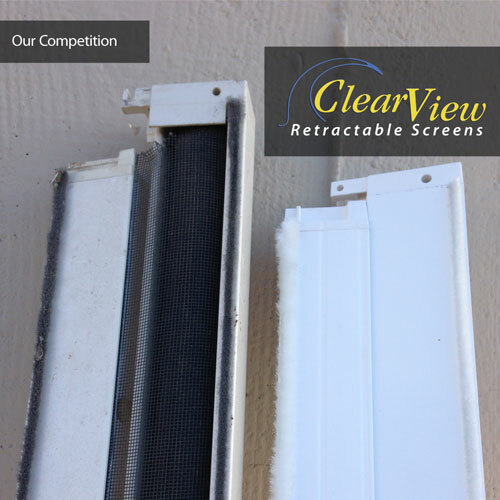 The Clear View Retractable Screen is mounted to the exterior face or interior frame of a doorway. The screen mesh itself is attached to a roller tube that spins on a vertical axis within the assembly’s housing. The screen is also attached to a vertical pull bar that rides on two rails and is used to stretch the screening material across the door opening. By design, the screen mesh on retractable screens is not attached on the top or the bottom (this allows the screen to roll into the housing). However, the screen is still bug- proof because the screen mesh goes up into the top railing and down into the bottom railing. The pull bar end caps are wrapped around a T-Track on the top and bottom railings creating an insect resistant tight seal. This T-Track creates a nice even retraction, which means no more pull bars ever coming off the track again. Once deployed, the pull bar is fixed in place by one or more magnets installed on the side opposite the housing. When you are ready to close the screen, the screen retracts slowly and safely into the housing. Strong, secure closure ensures they stay closed. Fully retractable into itself, becoming almost invisible when open. 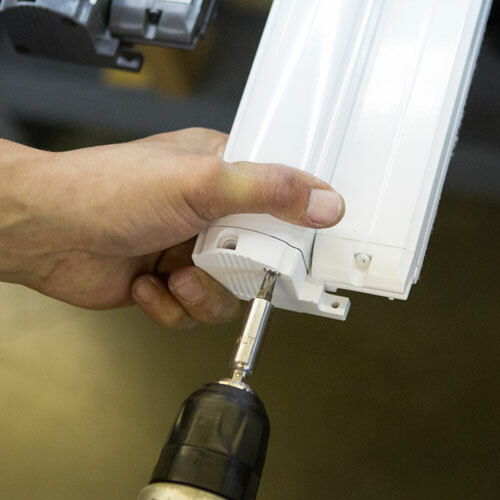 Patented Slow-Close Speed Reducer lets door retract at safe speed, preventing damage and slamming effect. Greater strength and durability for a long lasting appearance. 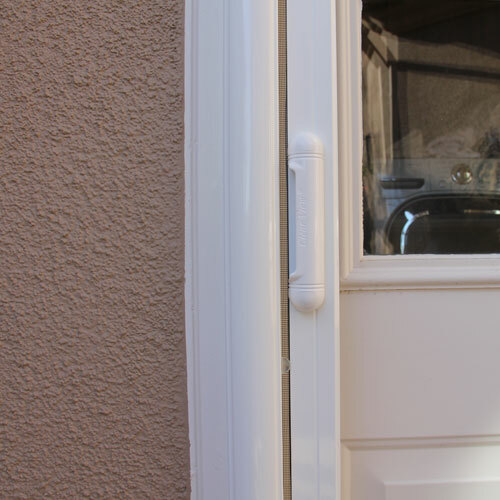 Specifically designed to mount on the surface or in the recess area of any door or window. Left or right openings. 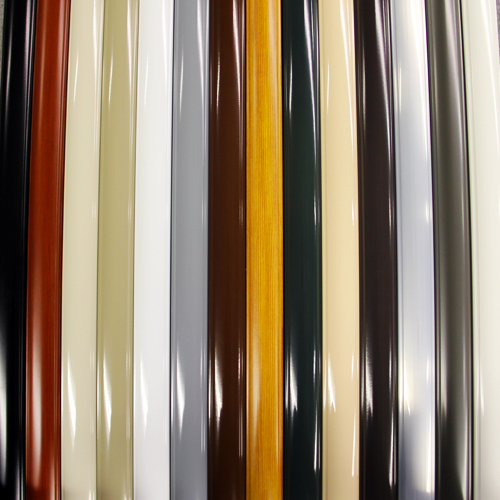 300 custom colors and 20 different types of wood grain finishes. Ensures support in a dirt free environment.